The Epping Ongar Railway is a heritage railway run by a small number of paid staff and team of volunteers in south-west Essex, England. It was the final section of the Great Eastern Railway branch line, later the London Underground's Central line from Loughton via Epping to Ongar, with intermediate stations at North Weald and Blake Hall. The line was closed by London Underground in 1994 and sold in 1998. 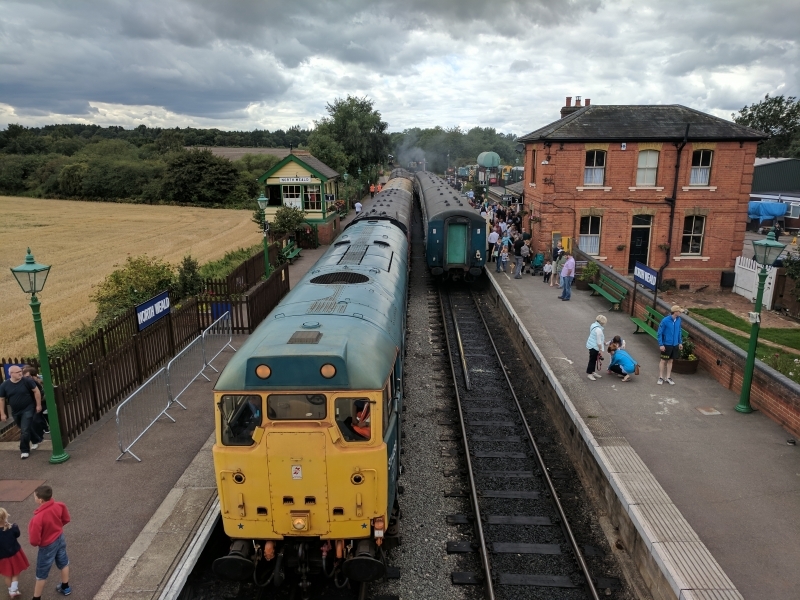 It reopened between 2004 and 2007 as a preserved railway offering a volunteer-run Class 117 DMU service between Ongar and Coopersale. A change of ownership in 2007 led to the line being closed for restoration to a heritage steam railway, which opened on 25 May 2012. Please give us your overall rating for Epping Ongar Railway.